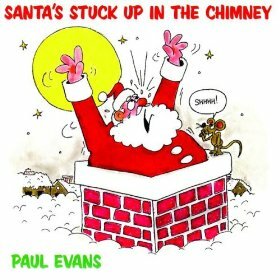 “Santa’s Stuck Up In The Chimney” by Paul Evans is a great funny Christmas song that the whole family can enjoy. Kids will love this song. Till we set him free. Now look at the shape he’s in. ‘Cause Santa’s stuck up in the chimney!